when you read the title. 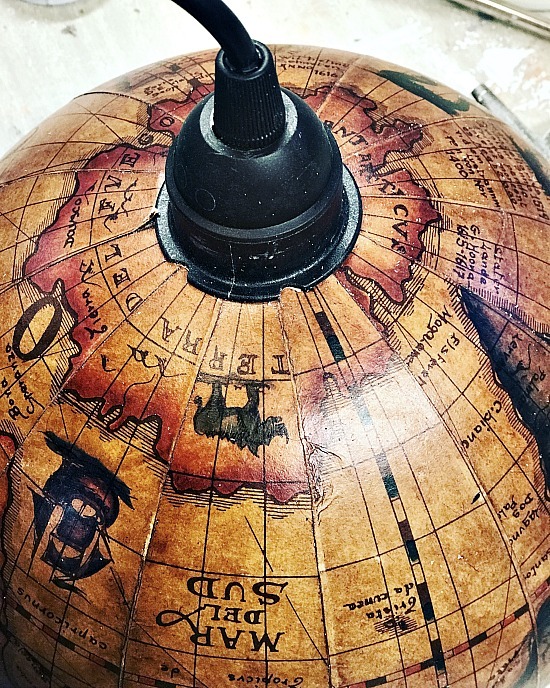 It actually didn't start out as a globe at all but an ice bucket! Yep, an ice bucket my friend gave me. Did I want it... heck yeah! How many cool projects would this make?!! So I began with the most obvious. 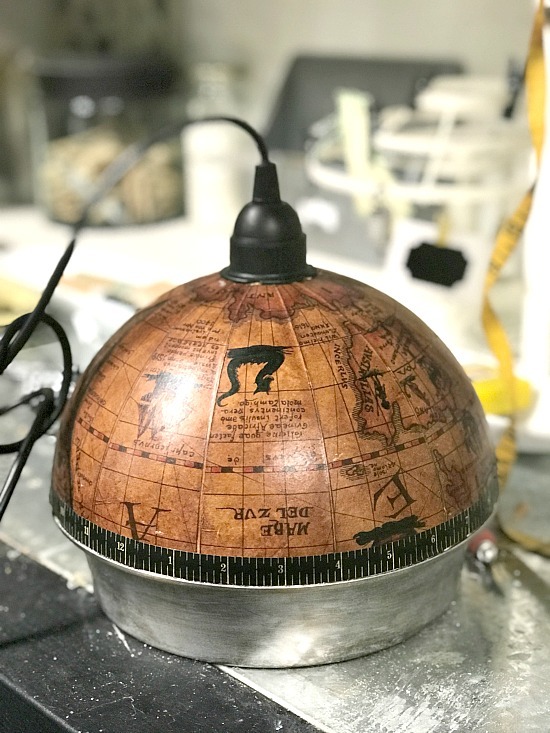 The top of the ice bucket looked like the top of a globe so I drilled a 1.5" hole into the top. 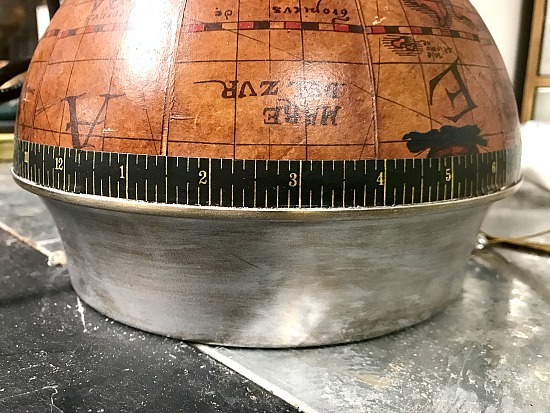 I used a tool that I had used once before on this tea light candle project. When you click on the rust Amazon affiliate links you will be taken to the products I use for this project. 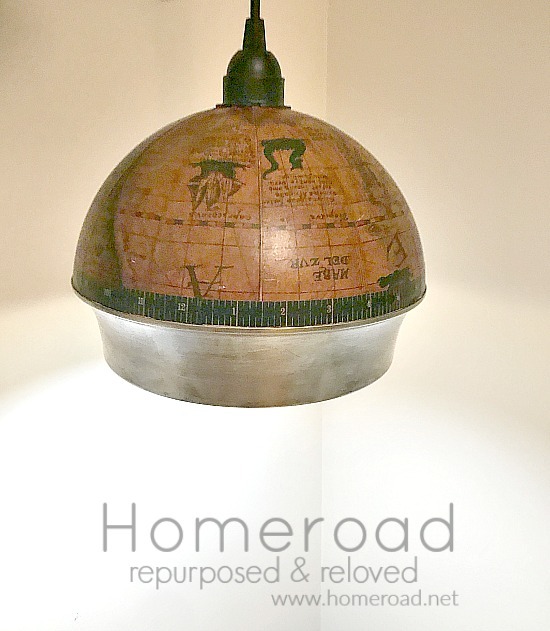 There is no additional cost to you and Homeroad receives a few cents to help me bring these projects to you! The light kit I used had a 1.5" bulb holder that slipped right into the hole and screwed on from the inside. Next I repurposed the rim of the ice bucket into a rim for the light. 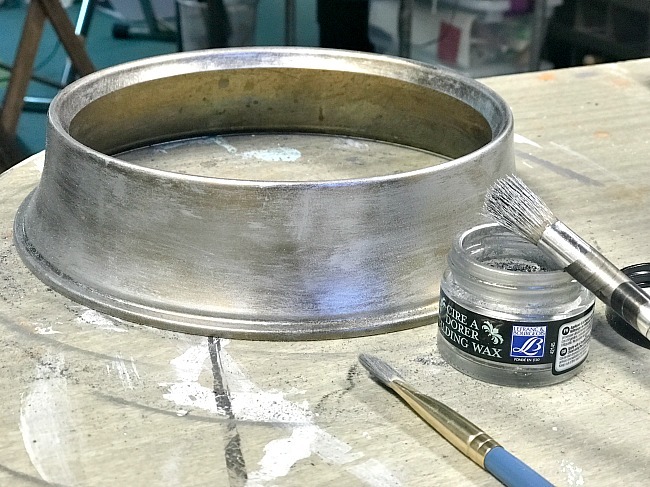 It was brass but I changed the color using silver gilding wax, it brushed on and worked like a charm. 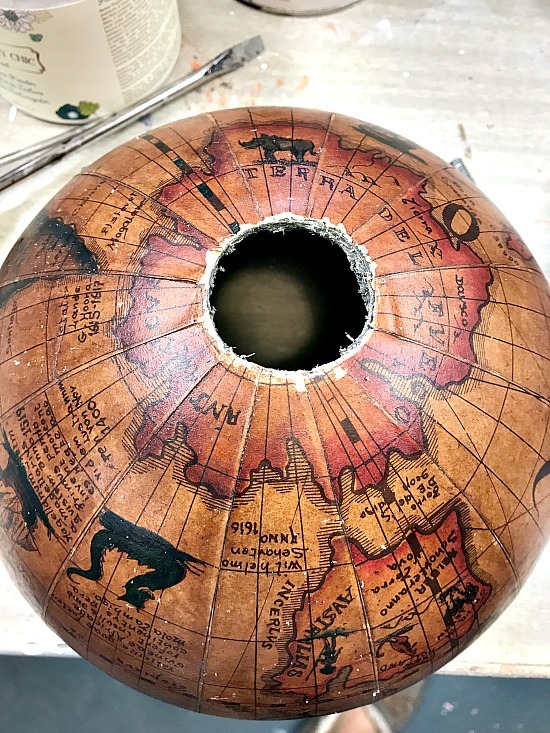 When the gilding wax dried I used E6000 glue to glue the globe part to the rim then added ruler Washi tape to add a stripe. 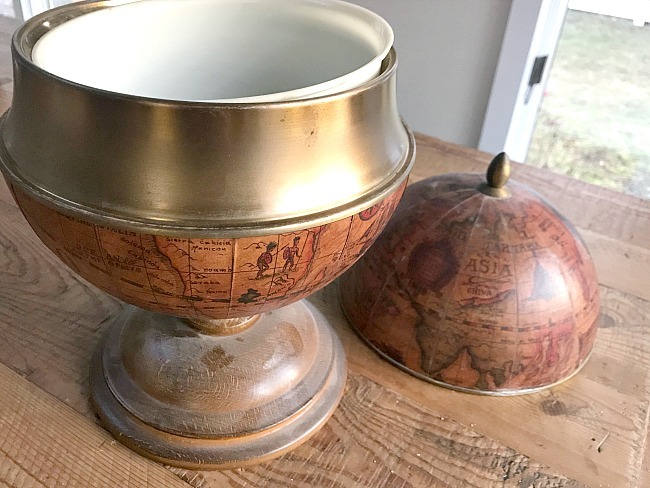 This was a simple project and the first one I'm making using this old ice bucket... stay tuned! All I have to do now is to find the perfect place to hang my new light. This looks like it belongs in Restoration hardware! just gorgeous. Hahaha maybe I could sell it for what they would sell it for??? lol Thank you Maria! 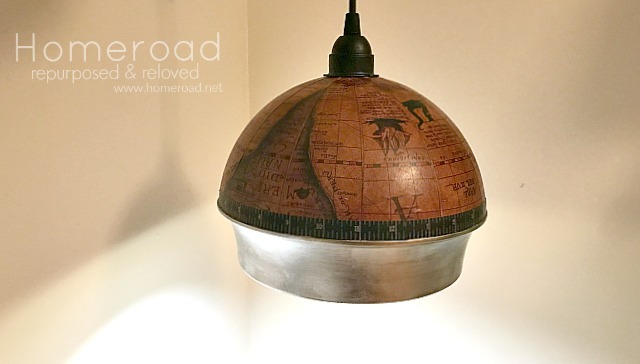 such a great pendant for a den or library! Pinned! Thanks so much Julie and thanks for pinning it! Such a super cool project Susan. It is even more special because it is not in the traditional blue colors but all antique-like. Love that added washi tape. It really adds to the whole thing. Now hurry up and hang it!! That's has to be the coolest light I've ever seen Susan. Brilliant and such a talking point too. Love what what you did. Oh my gosh!!!! I love this! 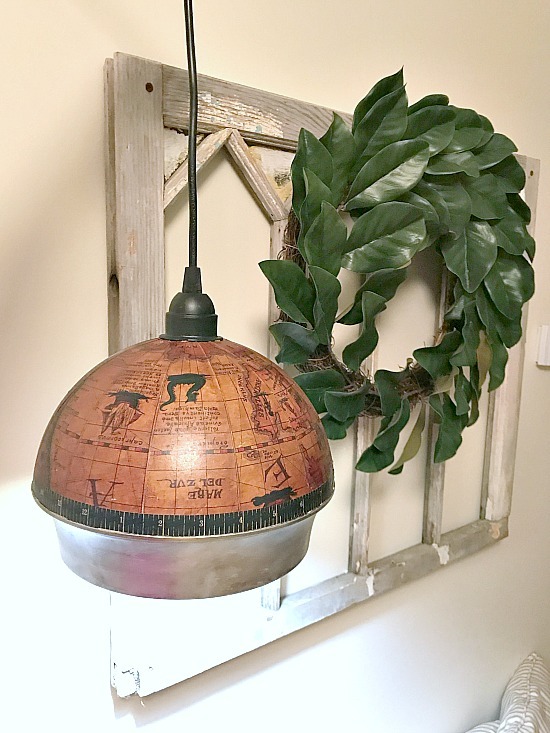 I love old globes and globe-type decor and you turned this one into something amazing! DIY projects I have seen on here! Just stunning!